To Export an order, Click on the Orders Menu and then on Export Orders. 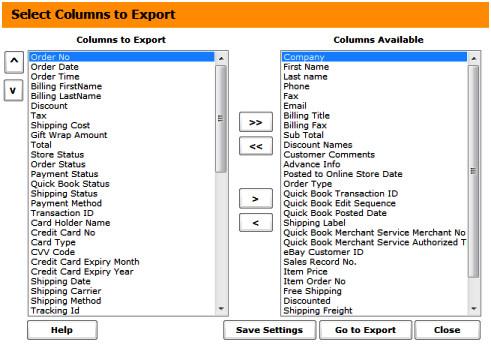 In the select columns to export scree, you need to select all the columns that you want in the CSV file that will be created when you export the orders. Once done, click on Go To Export. The Go to Export screen will bring up the search orders screen. Here you need to search for the orders you want to export. 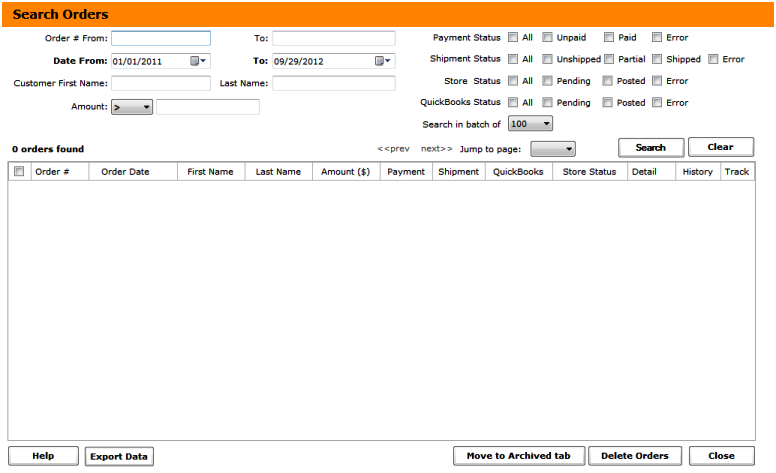 Once done, click on the Export Data button to export the data and create a CSV file.